Home » Posts Tagged "Douglas Cooper"
This is Henri Toulouse-Lautrec’s La Modiste, 1900. She is Mlle. Renée Vert (Mme. Le Murgouin) and she had a shop in Montmartre. 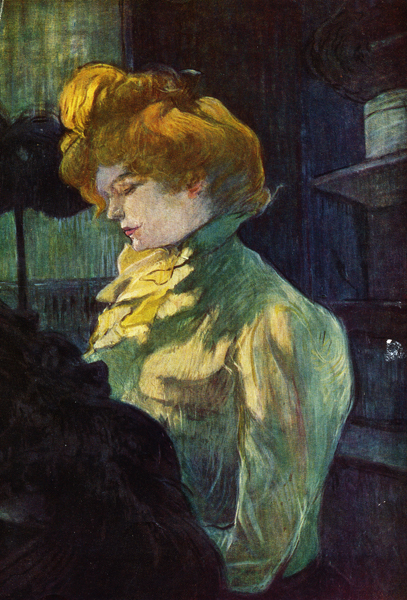 No idea if this will be in the MoMA Museum Toulouse-Lautrec exhibition opening on July 26 in NYC but her hair was Belle Epoque, trending for 2014. For more Toulouse-Lautrec, Belle Epoque and Art Nouveau inspiration, scroll down this blog, all the way down Page One, and to Page Two. From the book, Toulouse-Lautrec, with text by Douglas Cooper, Thames & Hudson, published in 1955, a great resource with 55 reproductions in full color and 63 illustrations in monochrome.